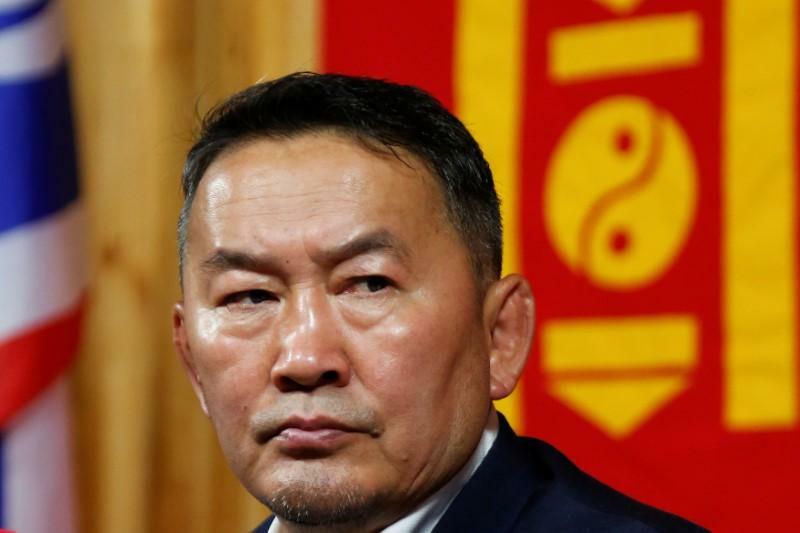 On July 10, Mongolia swore in its new president, Khaltmaa Battulga—a former professional judo wrestler, wealthy businessman, former Democratic Party (DP) parliamentarian, and former minister of transportation and construction (2008–2012). It was widely expected that the Mongolian People’s Party (MPP) candidate, Parliamentary Speaker Miyeegombo Enkhbold, would emerge as the winner to replace two-time President Tsakhia Elbegdorj. Much like the Brexit vote in the United Kingdom and Donald Trump’s election in the United States, Battulga’s victory, which required two rounds of voting, caused shock waves among the country’s elites and across the region. In the spring, the MPP had negotiated an International Monetary Fund (IMF)–led package of $5.5 billion to refloat the loan-dependent Mongolian economy and had stopped the economic slide of -1.6 percent in 2016’s third quarter by moving to 4.2 percent growth in 2017’s first quarter (Montsame.mn, July 3). However, Battula’s openly nationalistic “Mongolia First” election slogan and his criticism of Mongolia’s economic dependence on China attracted significant support throughout the country. Battulga’s win came as Mongolia has tried to re-establish its image as an attractive foreign investment destination despite poor transport and industrial infrastructure. Its economic downturn and lack of Western foreign direct investment (FDI) forced DP and MPP politicians to pursue a trilateralism policy, emphasizing economic relations with China and Russia. China has been the largest consumer of Mongolia’s mineral resources for two decades, invested $3.5 billion, and in 2016 bought 88 percent of Mongolia’s total exports. Mongolian coal exports rose by nearly 500 percent as of May 2017 (up 42 percent to China from a year ago to 3.16 million tons), influenced by Beijing’s ban on North Korean anthracite coal purchases since February and Cyclone Debbie’s disruption of Australian coking coal production (Fronteranews.com, June 27). The MPP has made concrete progress on several transportation projects to allow Mongolia to realize its dream of being an “economic transit corridor” between its two neighbors and a key link in the Northeast Asian portion of China’s “One Belt One Road” (OBOR). On April 7–8, the Mongolian transport ministry and Ulaanbaatar Railway (UR) organized “Transit Mongolia 2017,” in Beijing, for government, transport and customs companies involved in Mongolia-China-Russian rail transportation. In 2016, UR transported 2.3 million tons of transit freight (11 percent of total and 24.5 percent of transport revenue). The Mongolian transit route is 748 kilometers shorter than the Manzhouli route connecting China with Europe, and 513 km shorter than the Kazakhstan route. Mongolia decreased transshipment tariffs by 70 percent and tariffs for transit goods by 15 percent in order to compete with these other corridors. Moreover, it simplified border clearance so that bi-directional Sino-Russian transshipment has been accelerated by 26–27 percent (The Mongolian Messenger, April 14). In June, Aspire Mining, 100 percent owner of Mongolia’s second largest coking coal reserve operation, signed an agreement through its subsidiary Northern Railways LLC with state-owned China Gezhouba Group Company (CGGC) on an Erdenet–Ovoot Railways Project. This link will be part of OBOR and the trilateral Northern Rail Corridor connected to the Russian rail system. The Northern Rail Corridor, to be completed by 2022, is a 410 km railway, financed through a concession agreement for 163.5 billion rubles ($2.77 billion) (Proactiveinvestors.com.au, June 7). Near the Russian border, construction of 65 km of the 95 km paved road was completed in June under a two-part road/rail with freight terminal construction agreement for the “Mining and Metallurgical Complex” project, which exploits state-owned iron ore deposits in Darkhan-Selenge region (Montsame.mn, June 28) On the southern Zamiin-Uud border, a UR logistics center was 40 percent complete in early July. Funded by the Asian Development Bank (ADB), it will increase the transit capacity by developing both narrow and wide gauge rails, an auto road, water and transmission lines, and electric sub-stations under general contractor China Railway 21st Bureau, supported by South Korea’s Suson LLC. By 2019, 6 million tons of freight will transit through Zamiin-Uud annually (Montsame.mn, July 4). On April 26, a Beijing meeting of the Sino-Mongolian Cooperation Council discussed mining, railway and processing implementation of the Tavan Tolgoi (TT) coal project with Shenhua Group; a copper smelting plant; production of synthetic natural gas; and establishment of coal processing, power and copper concentration plants at TT. In May, the Mongolian foreign minister signed a bilateral memorandum of understanding (MoU) on coordinating initiatives for Mongolia’s “Steppe Road” and OBOR to create an infrastructure system across Mongolian territory, covering rail, energy, road and gas pipelines (The Mongol Messenger, May 5). However, President Battulga’s agenda may curb these projects by trying to increase state control over the mining sector and reaching out to other investment partners. Battulga was congratulated immediately by Russian President Vladimir Putin and, secondly, the Dalai Lama. Other foreign reaction has suggested the big loser could be China. Western media focused on Battulga’s pro-Russian posturing, citing similarities to Putin that could change regional dynamics (Lowyinstitute.org, July 12). US outlets reported on election-related corruption and Battulga’s Sinophobia (Washington Post, July 13). The Chinese official press denigrated Battulga’s interest in strengthening relations with “Third Neighbors” (Moderndiplomacy.eu, July 13) and warned Chinese investors of his narrow-minded nationalism (Globaltimes.cn, July 12, 13). This wily businessman should not be dismissed or underestimated. He has appointed experienced DP politician Zandaakhuu Enkbold as his chief of staff and former Ambassador to China Tsedenjav Sukhbaatar as foreign policy advisor. Although Battulga made his own fortune outside the mineral sector, he is a pragmatist who recognizes that Mongolia’s success requires Chinese participation. In mid-April, the ADB predicted Mongolian GDP would accelerate this year to 2.5 percent, even though strengthening resource revenues management and diversification remain challenges (The Mongol Messenger, April 14). Battulga the populist may advocate limiting cooperation with China in favor of Russian and Western trade partners, but he is aware that Mongolia’s landlocked status hamstrings his country’s options, while an MPP-controlled Parliament limits his constitutional powers.